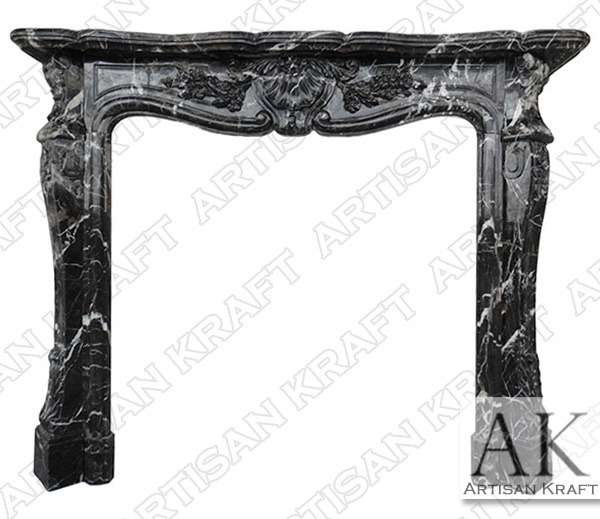 St. Louis black marble fireplace mantel is a French stlye marble mantel. This is an antique French marble fireplace surround. Picture of the St. Louis surround is in black marble set to white. The hearth can be made from a different marbles such as white to provide a lot of contrast to this fireplace mantel. This is a very fancy French fireplace mantel. The St. Louis Black Marble Fireplace is part of our Antiuqe Fireplace Collection.